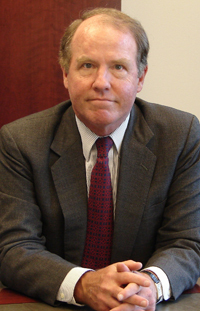 John Wilson is the founder and President of J.C. Wilson Associates. John has personally specialized in senior executive searches for the financial services, advanced technology and biotech sectors. Before starting this specialist search firm in 2002, John was a senior Partner with Korn/Ferry International, where he founded and, for five years, ran that firm’s CFO practice in the U.S. At the same time, he was the senior Partner in charge of their Financial Services Practice on the West Coast. Prior to Korn/Ferry, John spent 10 years as a Managing Director at Russell Reynolds Associates in San Francisco and Hong Kong. Before moving to San Francisco in 1993, he was the Managing Partner in charge of their Hong Kong and Singapore offices. During his 20-plus years in executive search, John has successfully recruited more than 300 senior executives, including CEOs, General Managers, functional heads and heads of geographic regions for a wide variety of organizations in the U.S. and the Asia/Pacific region. John’s experience prior to his entering the executive search industry included managing the Asia/Pacific region for the Bank of Montreal. Earlier, he spent 10 years in progressively senior management positions for Citibank in Hong Kong, Malaysia and Singapore, respectively. John holds a BS degree from St. Joseph’s University in Philadelphia and an MBA in International Finance from The George Washington University. John is an avid tennis player, golfer, fly fisherman, and an accomplished mountaineer, having successfully summited six of the world’s Seven Summits. Vickie Johnston is a Financial Services Consultant with J.C. Wilson Associates specializing in investment banking and asset management searches. After graduating from Harvard Business School in 1978, Vickie spent 12 years working on Wall Street in various corporate finance functions, in both public and private companies. 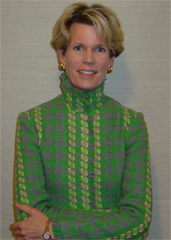 Her experience includes roles with Kidder, Peabody & Co, Wertheim & Co., Morgan Stanley and Bankers Trust. In the mid-90s, Vickie worked as an independent corporate finance consultant in Hong Kong, where her projects ranged from raising capital to writing strategic business plans for various Asia-based companies. Vickie graduated from Stanford University with a degree in Economics, and holds an MBA from Harvard.